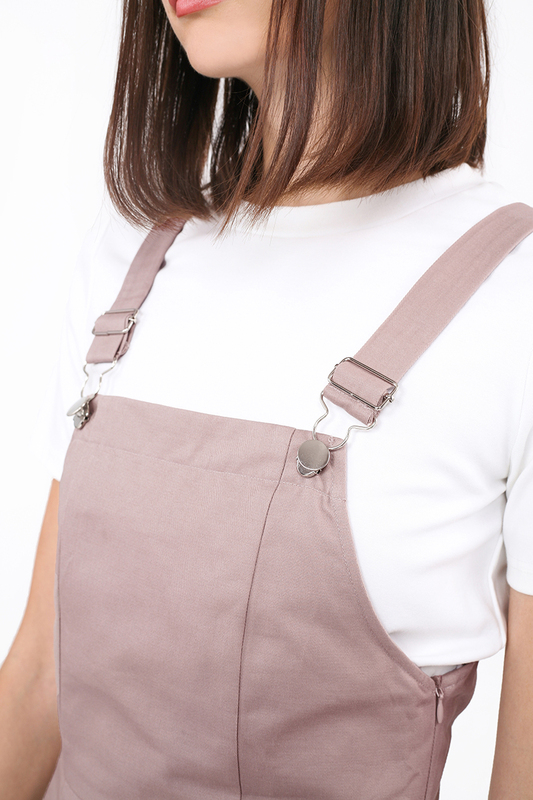 Made from lightweight cotton twill fabric, Jorry is a versatile pair of dungarees with a nipped in waist and a concealed side zip that helps ensure the perfect fit. To further cement its position in our wardrobe as a utilitarian piece, it comes designed with two slit pockets and silver hardware. We like balancing the outfit out by pairing it with a snug sweater. Under bust 14" 15" 16" 17"
Rise 11.5" 11.75" 12" 12.25"
Length (excl. straps) 22" 22.75" 23.25" 24"
Straps 7.5" - 13.5" 7.5" - 13.5" 7.5" - 13.5" 7.5" - 13.5"